What are the hours the fitness center is open? I ask this because my conference days start very early and if the fitness center does not open until 9am and my first conference class starts at 8am then that hotel will not be a good choice. 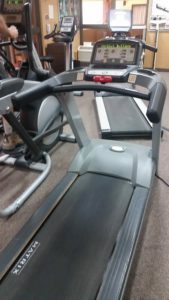 Do you have free weights and cardio equipment? This helps my coach to know what workout to plan for me. For example, if there are no free weights then she sends me with resistance bands for the workout. Depending on what my current workout schedule is and if it includes cardio, I will ask if the hotel has a heated (this is important for cold weather months) lap pool? This is because I enjoy swimming. put me up in a hotel. Originally I was to be at home where I would do an upper body workout in my home gym and no cardio. 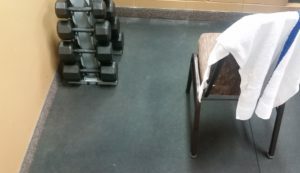 I visited the hotel fitness center and surveyed the room finding some free weights and cardio equipment. Time to improvise. I made everything work and got a great workout in. As I was laying on my back on the treadmill track and using the arms of the treadmill to do a laying wide pull-up, inspiration hit me. The reason for my flight postponement was to inspire me to write about my hotel experiences and the equipment available. After my workout in that hotel fitness center, I had many hours until my flight. 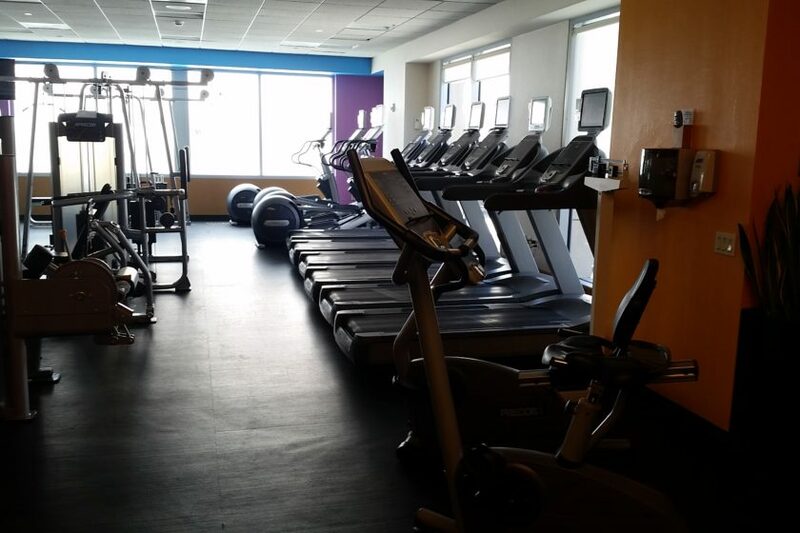 I started writing about the hotel fitness centers that I had been in over the past week. There had been a few. A check list of items for fitness centers was created. Since I had been taking photos of the past few fitness centers to send to my fitness coach, I had photos to share. Then I added in a story or two. I trust my reviews will help others when they need to know what equipment is available at the hotel to keep their training moving forward.